Most medicines have never been adequately tested for safety and efficacy in pediatric populations and preterm, infants and children are particularly vulnerable to adverse drug reactions. 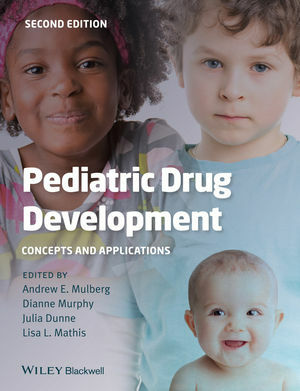 Pediatric Drug Development: Concepts and Applications, Second Edition, addresses the unique challenges in conducting effective drug research and development in pediatric populations. This new edition covers the legal and ethical issues of consent and assent, the additional legal and safety protections for children, and the appropriate methods of surveillance and assessment for children of varying ages and maturity, particularly for patient reported outcomes. It includes new developments in biomarkers and surrogate endpoints, developmental pharmacology and other novel aspects of global pediatric drug development. It also encompasses the new regulatory initiatives across EU, US and ROW designed to encourage improved access to safe and effective medicines for children globally. From an international team of expert contributors Pediatric Drug Development: Concepts and Applications is the practical guide to all aspects of the research and development of safe and effective medicines for children.